Yes, rel=”nofollow” is old news but that doesn’t mean it has stopped causing constant confusion. And no wonder! However, the target pages may still appear in our index if other sites link to them without using nofollow, or if the URLs are submitted to Google in a Sitemap. A couple of tests also showed that nofollow links may be affecting rankings as well, but I’ve never been able to go that far in my own experiments. With the introduction of nofollow as the way to link while not passing link juice, SEOs quickly understood they could use it to their advantage. Now they had the way to control how link juice flows within the site. Google’s response came in 2009 when Matt said using internal nofollow is basically useless because they leak PageRank anyway. The vague explanation was “With or without nofollow, Google is smart enough to understand which link should leak link juice” (e.g. it should be smart enough not to “leak” link juice through nofollow comment links while still leaking it to nofollowed “About us” page). Even with such a vague explanation many people were happy with the change: No more insane “PageRank” sculpting guides and howtos. Internal nofollow is now officially useless. **Note how Google Plus is using nofollow attribute for sculpting internal citation flow. Even if you leave your Google Plus link nofollow, Google will be able to go and grab your photo and circles to verify your authorship. 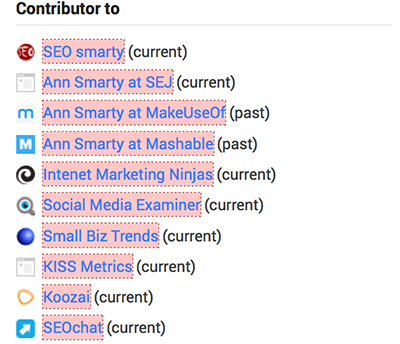 And Google is obviously OK with following your nofollow links in “Contributor to” section. So… What’s the Best Way to Use Nofollow? Should I Use it At All? For user-generated content (Which is up to you as it depends on how hard you moderate your UGC). **Note, Google’s official nofollow guidelines don’t mention nofollowing links if you decide to link to your other article or blog or other insane cases that keep being discussed around the web. I can’t believe how often I hear that question.. I hope this clears some confusion! Pagerank is Dead. Sculpting is Dead. Trust is Alive….in my eyes. But again no-follow stopped many marketers to spam comments. I believe that the best way to judge no-follow that whether is passes link juice needs to be experimented. Makes sense really. We know that Google will penalise a site for linking to bad places. We know that Google will penalise a site for being a doorway / bridge page or general affiliate spammer. So no surprise that they will follow links sometimes to see what you are linking to. It would be foolish of Google to simply ignore where your links go and foolish of you to link to bad neighbourhoods and think you can hide behind “nofollow”. What I find funniest about the no-follow thing is that only web-savvy people use it. Any lay person who has a blog to share what he things, writes or photographs does not even know what we are talking about. In my humble opinion, the nofollow is a waste of time. It was not part of the HTML4 web standard for . It is part of the HTML5 standard, but, in my opinion, it is not really useful. The Internet became what it became because of links. The idea of having “links which should not be considered as links” is a bit contradictory, not to say stupid. In my humble opinion, the nofollow is a waste of time. It was not part of the HTML4 web standard for <agt;. When i was start to apply rel=”nofollow” on one of my BIG page since 1-2 years back, i could see my own pagerank was growing. So i am indeed very confuing what everybody talk about . I also say forget the link juice, there is no such thing anymore. Nor does page rank matter even make a website a “quality” site. Write for *readers* and not for SEO. Make your content interesting, valuable and therefore sociable. That’s what matters more than all the rest.